A judge has issued European arrest warrants for 22 purported CIA operatives in connection with the alleged kidnapping of an Egyptian cleric from a Milan street in 2003, a prosecutor said Friday. Prosecutor Armando Spataro said the warrants allowed for the arrest of the suspects in any of the 25 EU member countries. Previously, Italy had issued arrest warrants for the 22 inside Italy. Spataro has already sought the extradition of the 22 from the U.S. However, the request has remained with Justice Minister Roberto Castelli, who has sought more court documentation on the case before making any decision on whether to forward it to Washington, Spataro said. Castelli, for his part, has also questioned Spataro's motives in the case, suggesting the prosecutor was a leftist militant and anti-American. In June, Berlusconi said the reported operation was never "brought to the attention of the government of the republic or national institutions," often a term used to refer to Italy's intelligence agencies. Therefore, he said, "it is not even possible" that Italy ever authorized such an operation. Nasr told his wife in an intercepted cell phone call from Egypt that he was tortured, the Milan prosecutor's office has said. He reportedly was hung upside down and subjected to extreme temperatures and loud noise that damaged his hearing. The Milan prosecutor's office called the imam's disappearance a blow to Italy's own fight against terrorism. 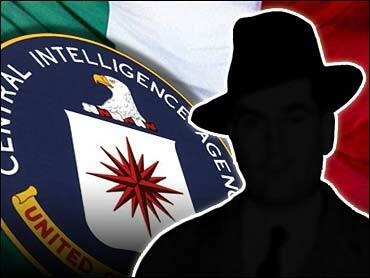 He had been under investigation for alleged terrorist activity in Italy at the time of his disappearance.